Any stream graduates may eligible to apply for IAS Examination . So, you may choose stream after 12th standard . ( Say for Example :- The candidate who Complete Bachelor degree in BCA / B.com / B.sc / BBA / BA / BBM etc.. The Only criteria is that the candidate should complete the Bachelor degree . IAS stands for Indian Administrative Service . It is one of the Civil Service Examination which is organized by Union Public Service Examination for every year . To apply for the IAS Examination you should complete Bachelor degree in any discipline from recognized university . There is Minimum percentage of marks is not require to apply for IAS Examination . The candidate who get pass mark in Bachelor degree may eligible to apply for IAS Examination . Final year candidate may also eligible to apply for this Examination . The candidate should be qualified at the participate in this Examination . The candidate age should not less then 21 years and Not more then 30 years and relaxation will applicable for sc/st candidates for 5 years , obc candidates 3 years and Physically Challenged candidates for 10 years . You should be physically as well as medically fit for the Examination . Every General candidate may eligible to apply for attempt Examination for 4 times and obc candidate for 7 times and there is no limit for sc/st candidates . The IAS Examination may divided into three stages namely, Preliminary Examination / Main Examination / Interview . So, you may choose any stream after 12th standard in which you have interested . you are eligible for to become IAS officer with any stream. But you can select the stream in 12th standard. IAS stands for Indian Adminstration Service. This exam conducted by the upsc once in a year. This exam for civil service examination. The civil service examination conducted by the IAS and IPS. to become a IAS officer should be completed the graduation from a recognized university. The candidate should be citizen of india. The candidate age limit should be between 21 to 30 years. Both male and female candidates are eligible for this exam. The candidate should be physically and medically fit for this exam. There is no specific degree to suit for IAS exam which is absolutely depend on one's ability and interest towards the subject as chosen to complete Graduation. IAS - INDIAN ADMINISTRATIVE SERVICE, to become an IAS officer one should appear and crack civil service exam conducted by UPSC once every year. The eligible candidate must be an Indian National having either appear for the final Graduation Degree exam or pass in any stream of education from a recognised University within the age of 21 to 30 years with upper age relaxation for reserved candidate. As you are now pursing in 12th Commerce, first you have to complete your Graduation Degree in any stream in which you are comfortable and before sitting for the Civil Service exam you must prepare for IAS rigorously for at least a year. It does not really matters which stream you belong to as they just look for graduates in any discipline from a recognized university. At the most you can attempt for four times. Selection procedure includes preliminary exams, main examination followed by interview. Refer to the thumbnail to know more about the exam pattern. Which subject should I take to be an IAS officer. Which are posts of an IAS officers. Friend you can chose any stream you want. Since you are commerce student I would say that you should pursue B.Com after completing 12th standard. In case you fail to crack the IAS exam, still there would be plenty of options for you. Now let me make it pretty clear that B.Com degree alone will not get you a good job. However there are various courses that you can take after B.Com. For example you can consider teaching as a profession if failed at IAS exam. In such scenario you will have two options. First would be school teaching and second would be college lectureship. For the first option you will have to complete Bachelor of Education degree. After which you can apply for Teachers Eligibility Test for teaching job. For the second option of lectureship, you will have to complete post graduation. I would say that M.Com would be good choice after which you can apply for National Eligibility Test for college lectureship. Other option would be MBA is Banking or Finance which will get a decent job in private sector. You can also consider MCA course after B.Com and apply for job in IT companies. Of course you also have the option of Chartered Accountancy and Company Secretary. As a graduate you will be able to get admission in the second stage of both these courses. As you can see there will be plenty of options in front of you even if you failed at the Indian Administrative Service Exam. You don't need to worry about your future. If you do decide to go with B.Com, I will advice to start preparing for the IAS exam from the second year of B.Com course. Start with basic like improving English and watching news for general knowledge. Later you can concentrate on general studies and other papers. 1. You must be of Indian origin. 3. Age limit is 21 to 30 years. 4. There is 3 years relaxation for OBC and 5 years for SC/ST. There will be two papers in preliminary exam. There will be total of 9 papers in Main Exams followed by Interview. hi friend ..there is no need of doing specific degree for becom an IAS officer..it's enough to have the qualification of any degree..
i am doing first year m.com(ca), after completion of my pg, i like to join bl degree, is it useful for my ias dream? i think it will be useful for do my job without fear of constitution problems? There is no specific Degree to be taken to become an IAS officer. A Graduation Degree in any discipline of education in which one is easily and comfortably passed, is sufficient to be eligible for IAS. To become an IAS officer one has to crack Civil Service Exam conducted by UPSC every year. 1. a candidate should be of age limit between 21 to 30. 2. He or she should be indian. 3. graduated in any field. 4.general can appear by 4 times and sc/st/obc can appear maximum of 7 times..
thank u... god bless you.. There is no specify stream to become an IAS officer but it is better to you to select the stream in 12th standard. IAS stands for "Indian Administration Service". It is one of the most prestigious service in India. To become an IAS officer you have to qualified civil service exam conducted by the UPSC once in a year. 1)Candidate should be completed his graduation in any stream from any recognized university. 2)The candidate should be citizen of India. 3)The candidate age limit should be between 21 to 30 years. There is 3 years relaxation and 5 years relaxation in upper age for OBC and SC/ST category applicants. 4)Both male and female candidates are eligible for this exam. 5)The candidate should be physically and medically fit for this exam. 6) General category applicants can attempt the exam 4 times, OBC category students can attempt the exam 7 times while there is no limit to attempt the exam for SC/ST applicants. There will be total of 9 papers in Main Exams with Interview. To become an IAS officer you ahve to appear in the UPSC Civil services Exams. If you want to become an IAS officer first you need to appear for the civil service exam this exam is conducted by the UPSC once a year. Candidates who applying for this exam must complete the graduation in any stream from a recognized university of india. Actually any Graduate can apply for IAS Examination. So it doesn't matter which Degree suits best for IAS examination. The subjects in which you have studied in graduation is best for IAS Mains examination. In mains examination you have to select optional subjects and you must select those subjects which you have studied in Graduation because you must be familiar with those subjects. The Graduation must be from a reocgnised University then only you can apply for IAS Examination. The age must be between 21 to 30 years if you are General category candidate. There is 5 years age relaxation for SC/ST and 3 years for OBC Category. Those in merit will be selected for the post. If you are from General and OBC Category then you will have limited attempts for IAS Examination . Hence apply for it only when you are well prepared. For SC/ST there is no limit in attempts. Nice to see your interest in the civil Services. After 12th class you are not eligible to apply for the IAS examination. IAS is stand for Indian Administrative Service. The IAS examination is come under civil services examination which is conducted by the UPSC once in every year. To appear in the IAS examination you need the following criteria. 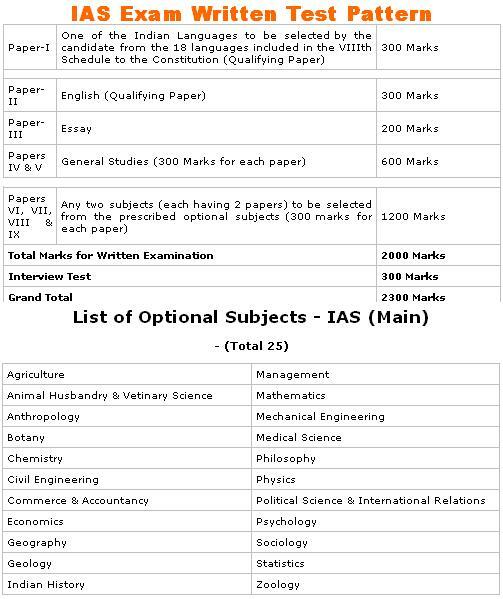 Eligibility Criteria for IAS Examination. --> Pass graduation degree in any discipline from a recognize University. Final year graduation candidates can also appear in this examination. --> The age must be between 21 to 30 years at the time of examination. The age relaxation is also applicable for reservation category. These are the basic eligibility criteria for the IAS examination. If you satisfy the above mention eligibility criteria then you are eligible to apply for the IAS examination. So, if you completed the graduation degree in any discipline then don't worry you are eligible to apply for the IAS entrance examination. In order to become IAS officer, no specific stream in Graduation is required. Candidates who have completed Graduation with any of the stream are eligible to become IAS officer. CSAT Exam is being conducted by UPSC (Union Public Service Commission) once in a year. As you have completed your 10+2 in Commerce stream, I suggest you to opt for Graduation in the same field. Try to start the preparation for Civil services exam from the very beginning of your Graduation and try to be good enough in all the aspects of the written exam by the time you complete your Graduation. You should possess the following age criteria to apply for this Exam. hi, Im confused in selecting between BE and Bcom ..as im a science student . wch one of these two would be best for me to opt for ,if i want to be a ias officer ? ur suggestions are appreciated thank you . Hi sir/mam. Which optional subjects i have to take at ias mains,if i was completed bbm degree? Well friend you can become an ias officer through any graduation stream.The important thing is that you have to clear the civil services exam is conducted by upsc every year. 1.You must have completed your graduation from any recognized university. 3.Age limit for the exam is 21-30 years.Age relaxation is provided to the reserve category. Sir,I am diploma mechanical engineering student, which degree suitable for IAS Exam,my aim is IPS officer. i am 12th student with physics,bio,chem,maths is it k for becoming an ias if i complete my ug course with bsc.psycology?????? I am studying 12 science. I want to become an IAS officer .which degree is more suit to me? hlo sir! I am doing b.com hons and want to take coaching for civil services and also want to do mba but the problem is that civil coaching and mba can't be done together bcoz mba is done regular basis and civil service coaching needs practice of hours and hours . so please tell me what should I do ? Is it possible to prepare for IAS after doing Bachelor of physical education (1 year course)? Hii myself Samruddhi. I want to become an IAS officer so, which exam should I crack UPSC or IAS. Please tell me the duty of an IAS officer. Hi i am Tarum Nabam from Arunachal Pradesh North east India I want to become IAS officer since from childhood but its not easy to crack the UPSC ....I doing my Bsc in Medical Laboratory Technology ..sir my question is that after complete graduation in this field which subject i should select for optional subject ...? Any of the GS subject and the subject that you want to take as optional too, will be suitable for your degree subject, provided you should be interested in it, lest, it might not be fruitful. eg; Political science, history, geography, economics, psychology etc..